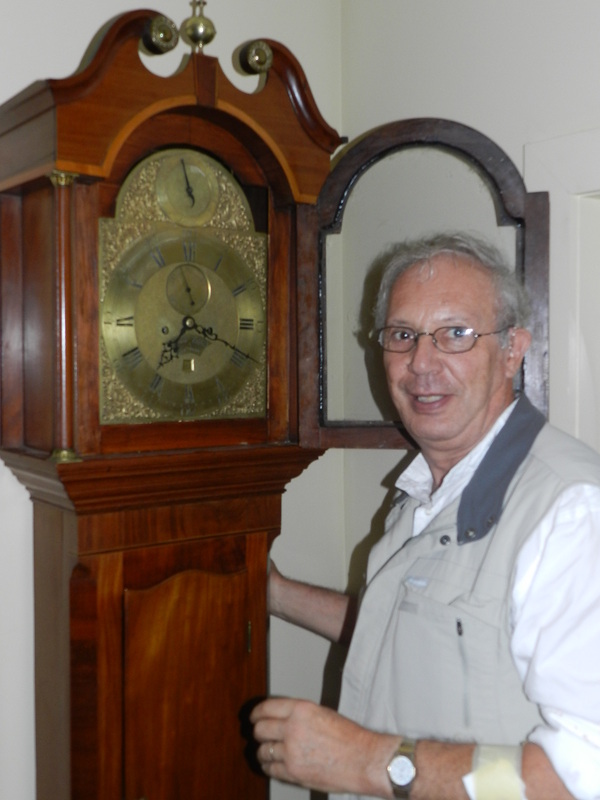 In the fall of 2016, I had the opportunity to clean and repair the authentic and beautiful Vienna regulator that decorates the office of the Austrian Ambassador in Ottawa. 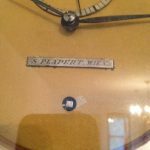 This three and a half foot clock by S-Plapert of Wien had not been working for a number of years because there was no money in the budget to have it repaired. After a special request to the Austrian government, funds were made available to restore this beautiful heirloom. I am honoured to have been chosen for the job. 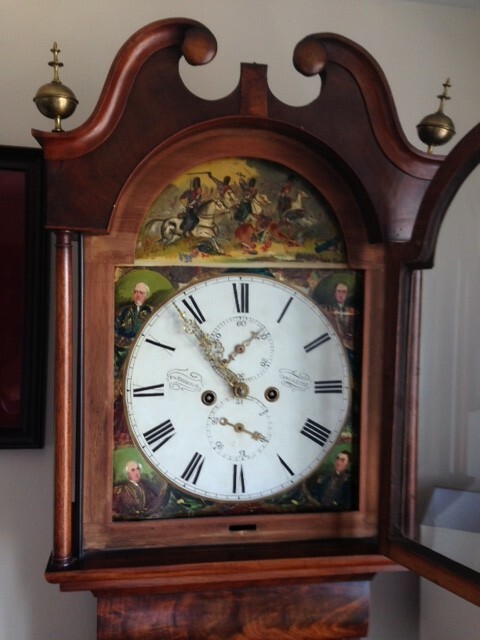 I am posting pictures of gorgeous clocks I had the privilege of restoring and repairing successfully. 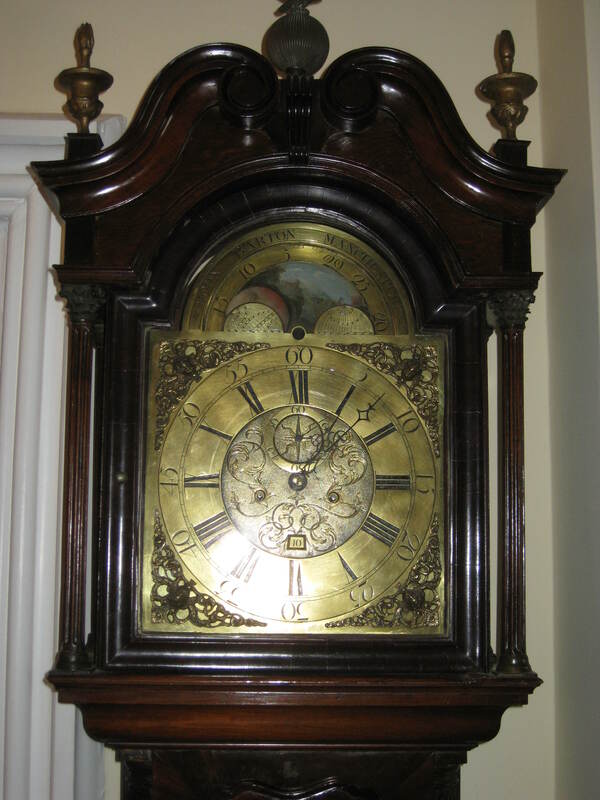 Here is a tall case clock by William James of Brecon (South Wales), probably late 18th century. 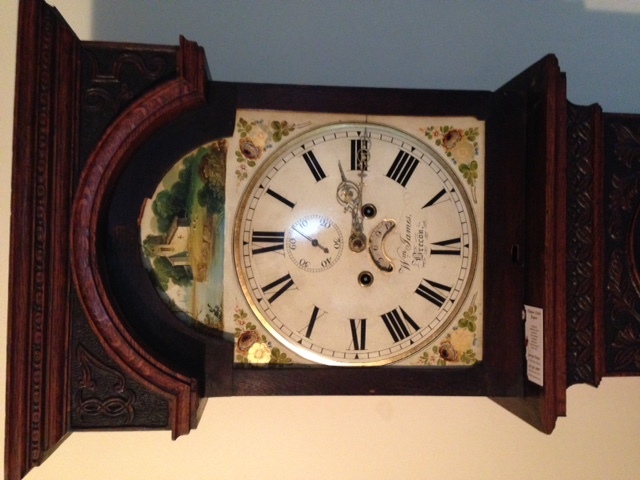 Here is another 1800 tall case by Williams Thomson from Dalkeith. 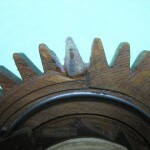 The dial is very well preserved and appears to be original. 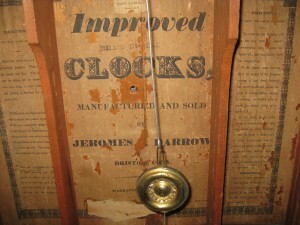 I did not find information about this clock maker. I had the pleasure of having 2 French portico clocks to repair. I kept them as long as I could and enjoyed them. But, sadly, I had to return them to their owners. One is by Julien Le Roy à Paris who was the King’s clock maker in 1739. 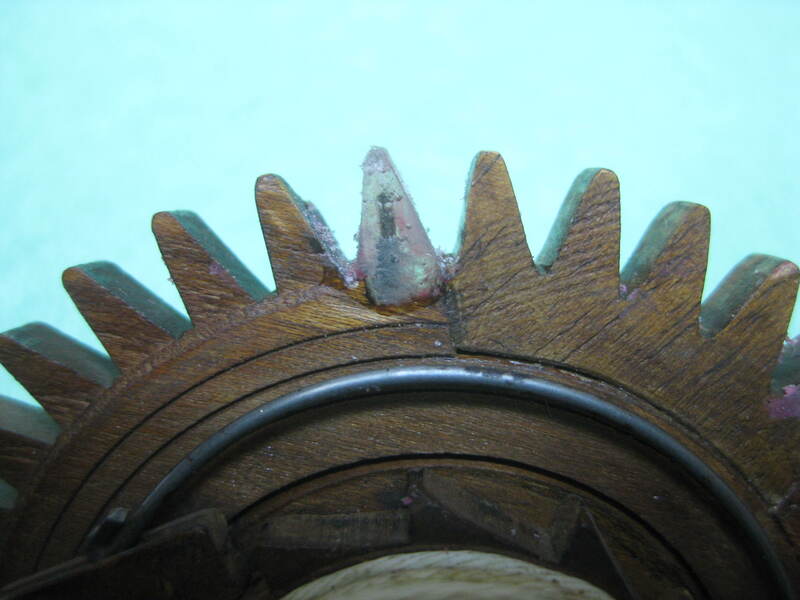 This reproduction of a 1492 Columbus wooden clock stopped working years ago and I could not repair the damaged pinion with the mold-and-epoxy method. 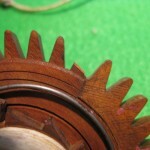 I could not find anybody would could make a new wooden pinion. It was really frustrating. 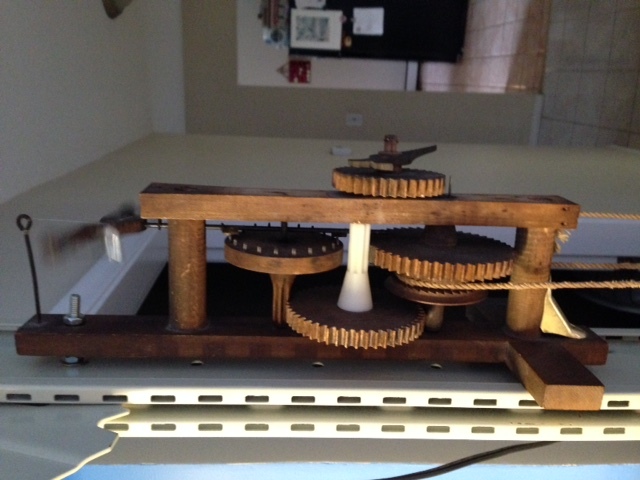 But my son said he could reproduce the pinion with his 3D printer. 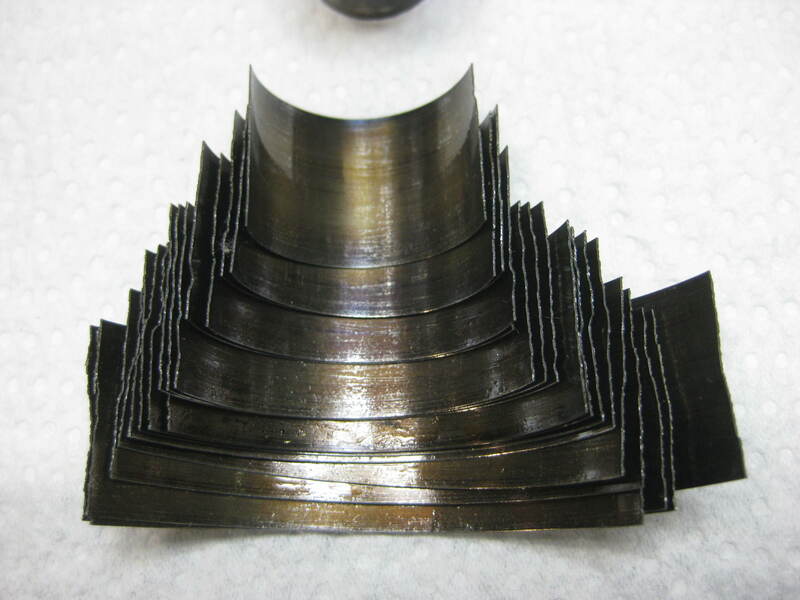 After taking the dimensions and entering the data in his computer program, he was able to produce the piece we can see on the attached picture. 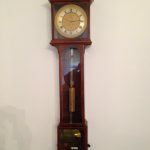 I put the clock back together and the clock is now running. It is not a reliable time piece but it makes me happy to hear it tick –although the beat is not even. The Right Honourable Sir John A. MacDonald, Canada’s first Prime minister and one of Canada’s Fathers of Confederation, was a very busy man during his nearly fifty year political career. His family lived in Kingston, Ontario, where he studied law, but with the decision by Queen Victoria to choose Ottawa as the capital of Canada, Sir John A. eventually moved to Ottawa. He became prime minister in 1867 and, except for 5 years between 1873 and 1878, he occupied this position until his death in 1891. In 1870, he rented a house that had been build recently on a cliff overlooking the Ottawa River – a house known nowadays as Earnscliffe. In 1883 he bought the house and lived in it until his death. The Victorian manor subsequently belonged to several private owners until it was sold in 1930 to the United Kingdom to become the residence of the British High Commissioner. Several pieces of furniture, including some that had belonged to Sir John A. were sold at an auction. 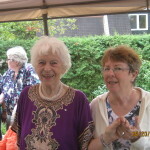 Mrs. Margaret Morrison, wife of Cecil Morrison, the well known businessman who founded the famous Morrison-Lamothe bakery in Ottawa, attended this auction with the intention of acquiring some of the items that belonged to Sir John A. She asked the caretaker of the house, who had been looking after the property for many years, which of the items in the house had really belonged to MacDonald. 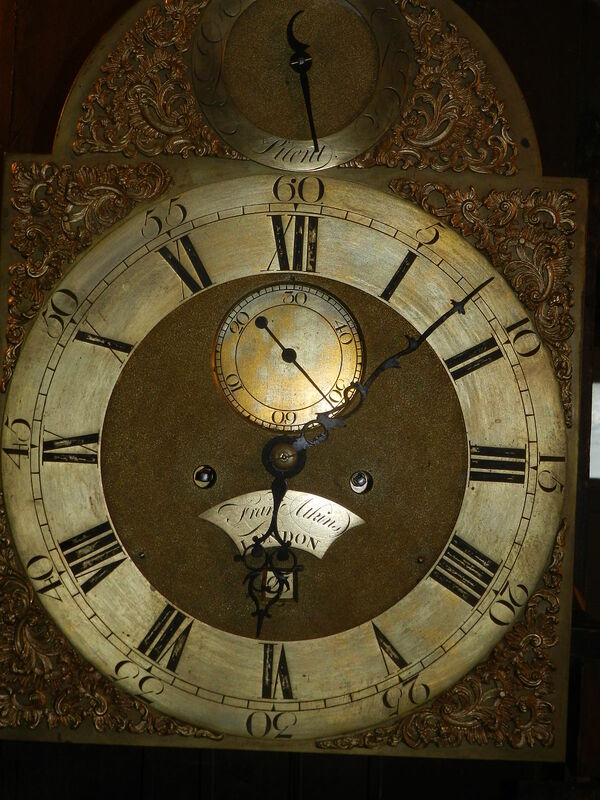 He pointed out an armchair that had sat at the foot of Sir John’s bed and a mantle clock. 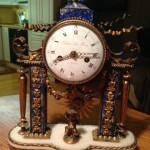 Mrs. Morrison bought both items and brought them to her home on Fuller Avenue. They are still there and I had the opportunity of seeing them on a visit to this stone house – which was built in 1828, and is the oldest house in Ottawa. This house is now the property of Mrs. Grete Hale, C.M., the daughter of Margaret Morrison. 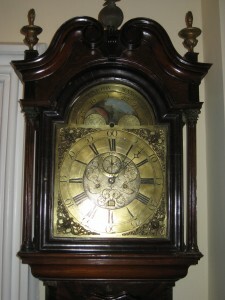 The time and strike clock is made of black marble. 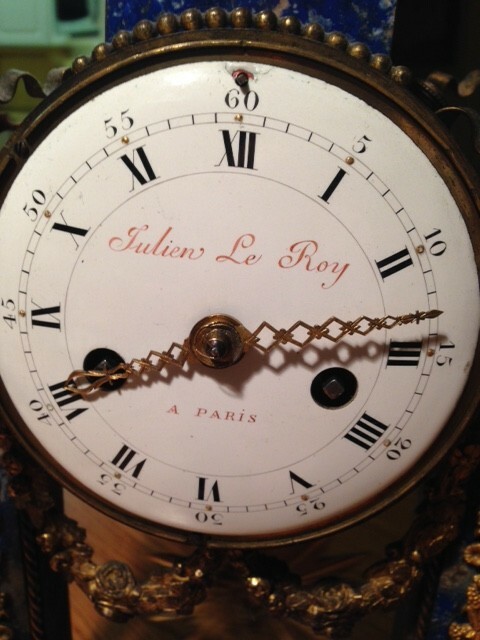 Its movement is French made but the maker is not identified. 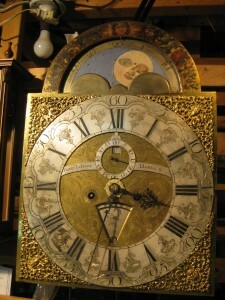 It strikes the hours and the half hours on a typical French bell. 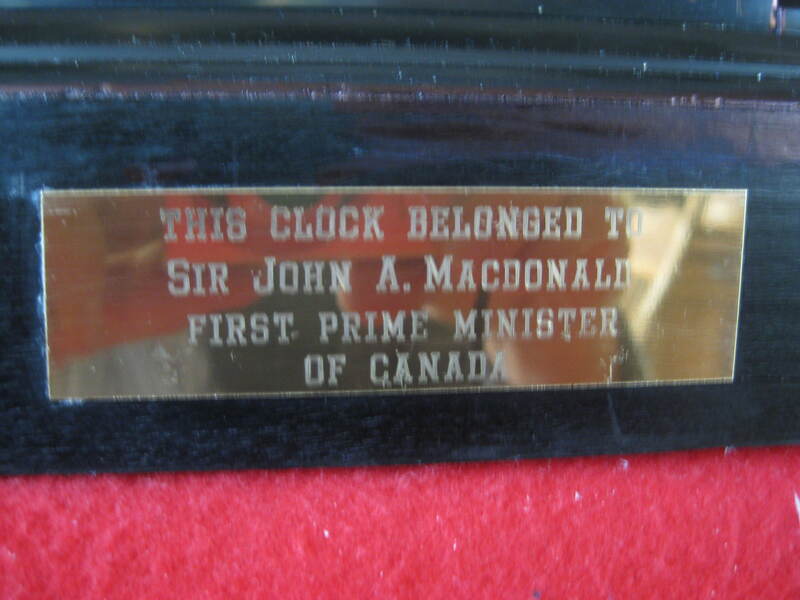 A brass plaque on the front of the clock reminds us that it was the property of the first Prime Minister of Canada. 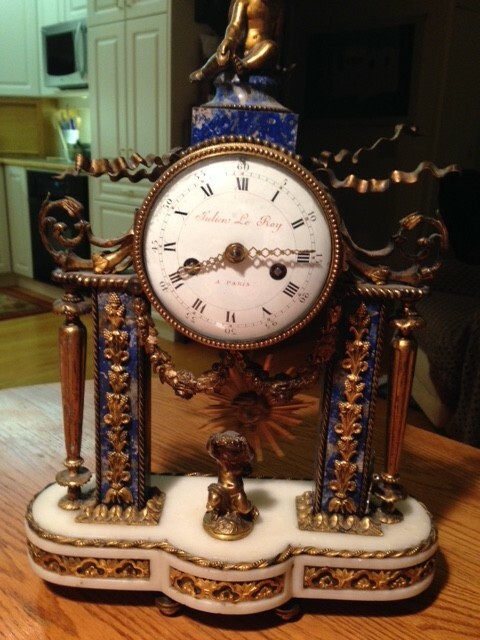 As a clock collector and repairman, I asked if the clock was working. “ It has not worked for many years, said Mrs. Hale, It stopped the night John Diefenbaker (the Conservative Prime minister) was defeated by Lester Pearson (the leader of the Liberal party) in 1963, and I was told it could not be fixed”. This was a challenge, which I would not refuse. 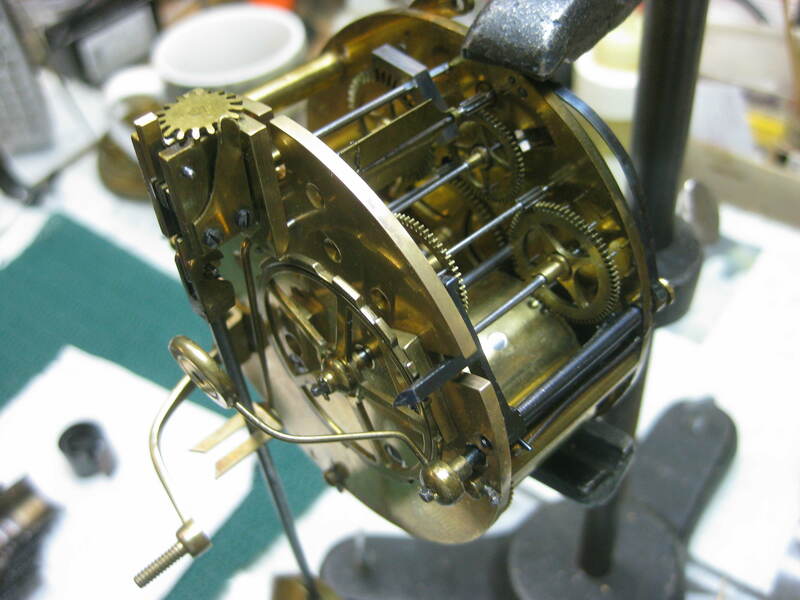 Mrs. Hale let me take the clock home and I was able to repair it, cleaning it and replacing the time mainspring and the suspension spring. 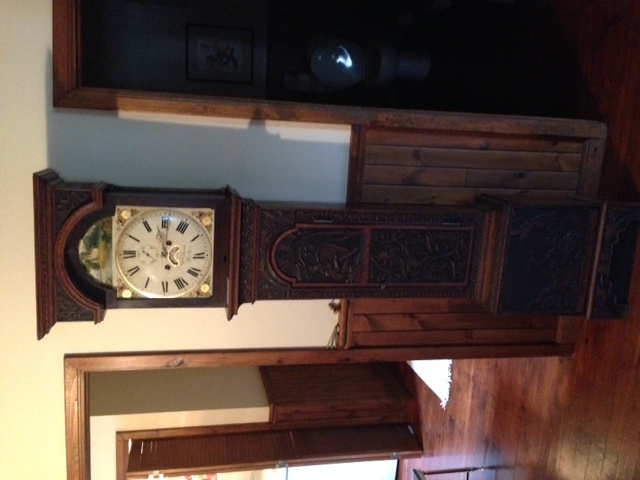 The clock is now back in a prominent place in the library of Grete Hale’s lovely home. 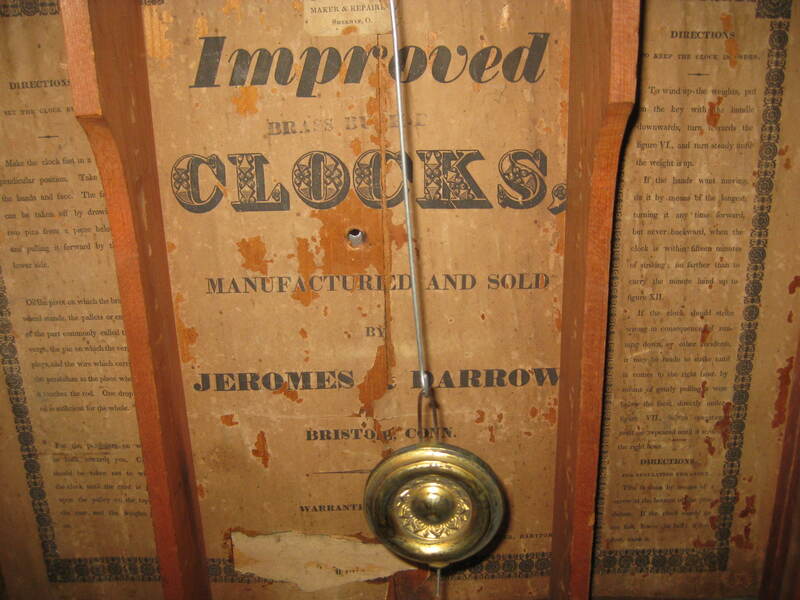 A pilaster clock with wooden movement by Jeromes & Darrow (1828-1832) came in for repair. 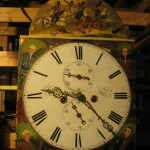 The owner said she had taken it to a clock repair person who told her the clock could not be fixed and was just good to be thrown away. 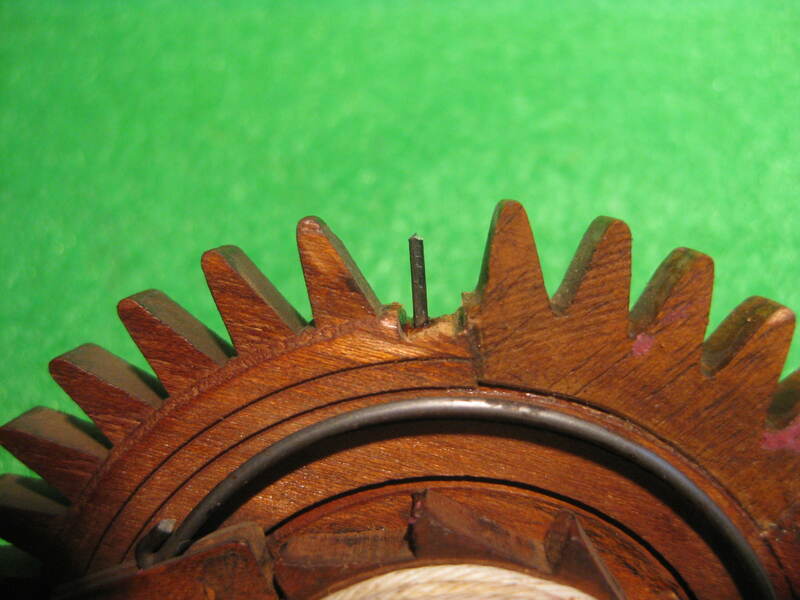 Upon examination, I discovered that some teeth were broken and needed to be repaired to have the slight chance of running again. 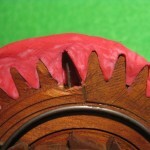 The following pictures show how teeth can be replaced. 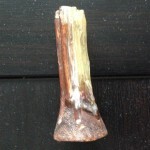 Although wood can be used to fit a new tooth where one is missing, I chose to fill the gap with epoxy glue. 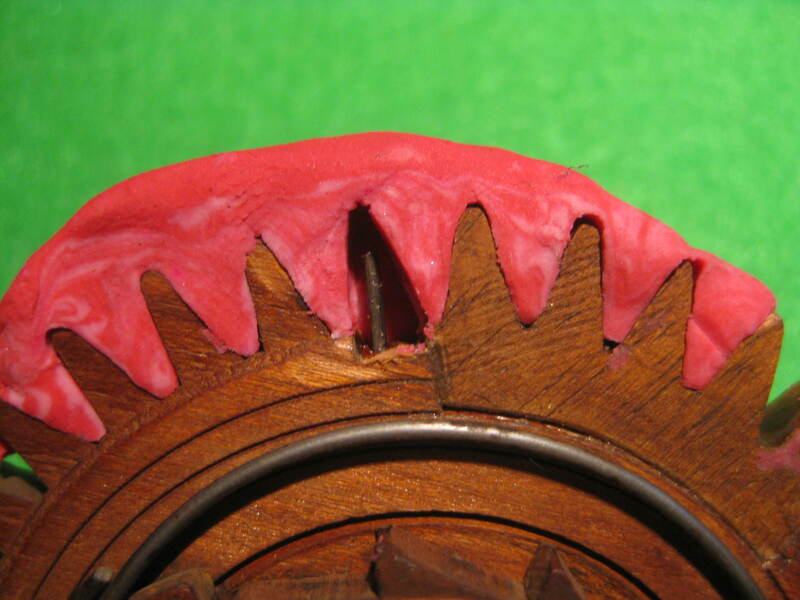 The method is simple: insert a pin in the core of the wheel; make a mould of a part of the wheel with plasticine; place the mould over the broken tooth and pour epoxy glue in the empty hole. Let dry overnight and … Voilà!, you’ve got a good solid tooth. 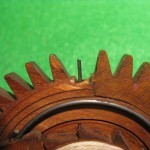 The same method can be used to repair broken leaves on a pinion. 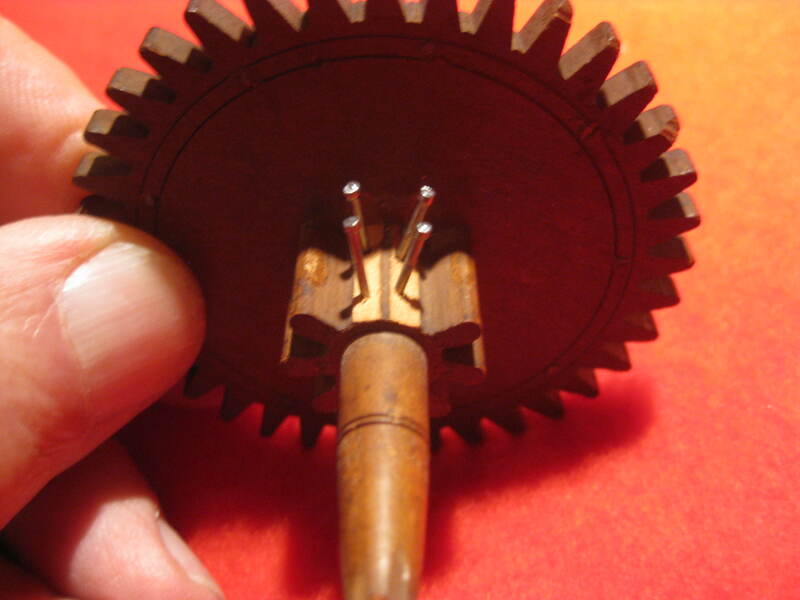 In fact this is an easier way to do it and you get a more solid repair than trying to insert a wooden leaf. 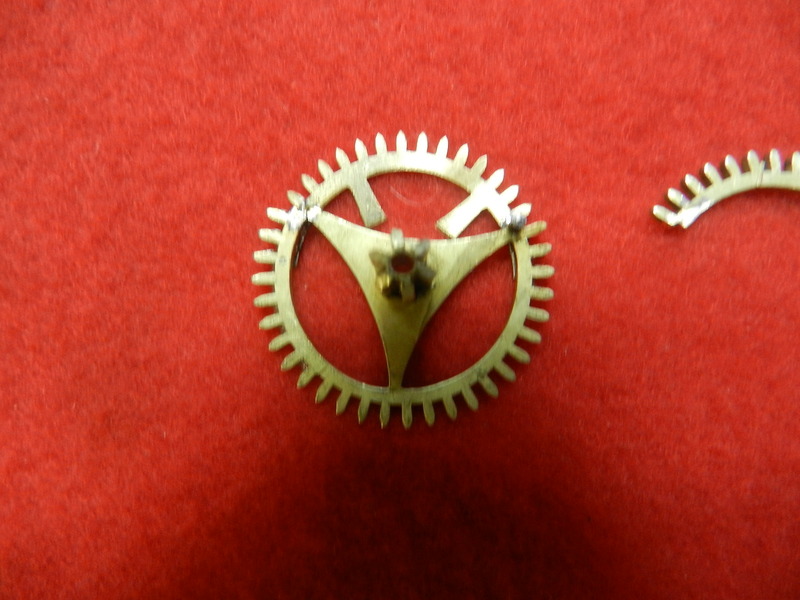 Both gears were returned to the movement and the clock is now running properly. 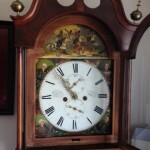 I m pleased with the result of this repair and so is the owner of the clock which is an interesting piece of horological history. 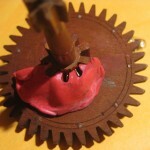 If you try this at home, use some plasticine underneath your gear to make sure you don’t epoxy your gear to the table. 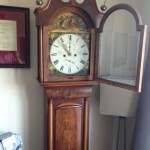 The case of this clock has a shape that looks veru much like the French Morbier grandfather clocks of the 19th century. 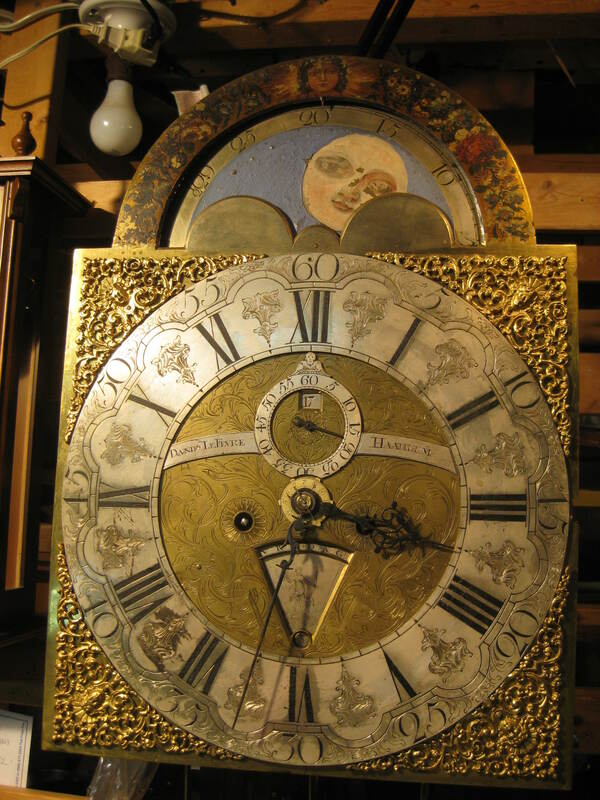 However French clock were never painted white and gold. This is a clock from Sweden and they are quite rare in Canada. It is estimated that it was built in the early 1800s. This one has an 8-day movement with 18 pound square weights. 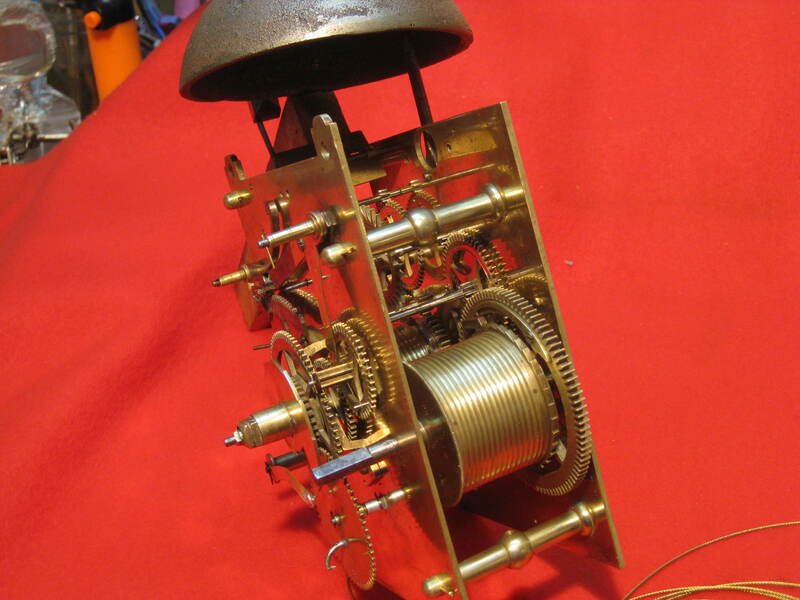 And it features a three-bell striking mechanism. 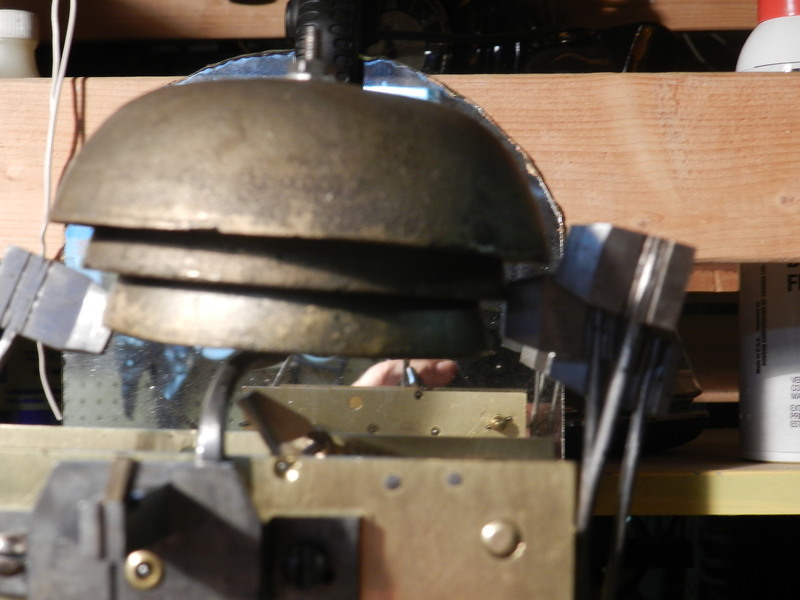 It strikes one on each bell for each of the 3 quarter-hour; and on the hour, the 3 hammers strike in sequence (1..2..3..) for each hour being struck. 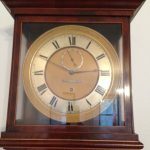 The clock was purchased from an antique dealer in Ontario who said the clock was in running order and had been cleaned by a professional clockmaker. 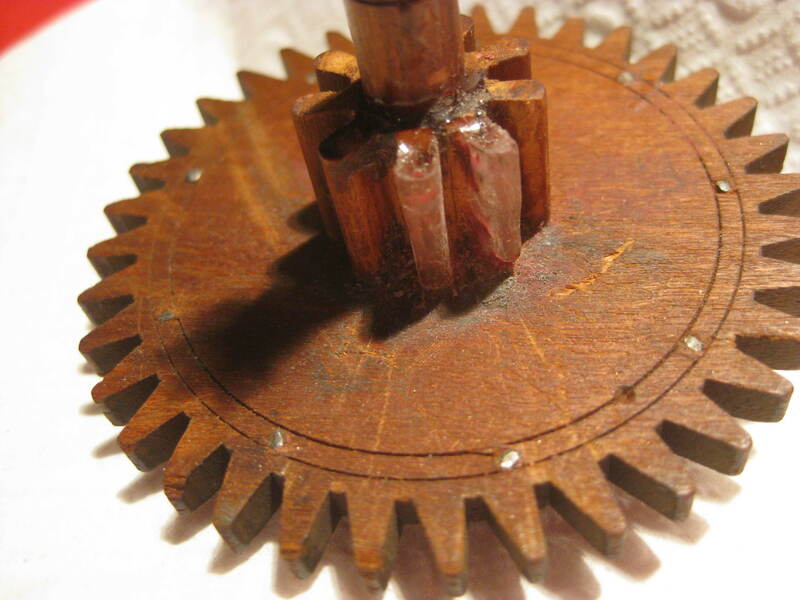 It turns out that the movement was filthy and had not been cleaned for many years. 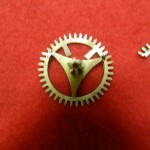 I suppose anybody would be scared to take apart a clock with such a different striking mechanism. 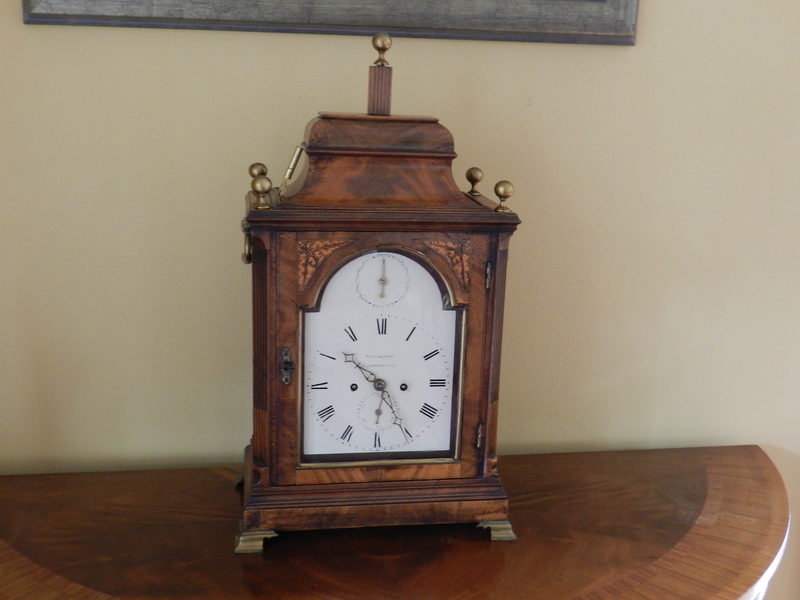 I did not hesitate to take up the challenge and the clock is now cleaned, freshly oiled, adjusted and running well. 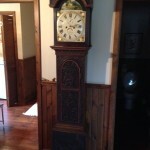 On its way from South Africa to Canada, this old but very well preserved grandfather clock suffered extensive damage. 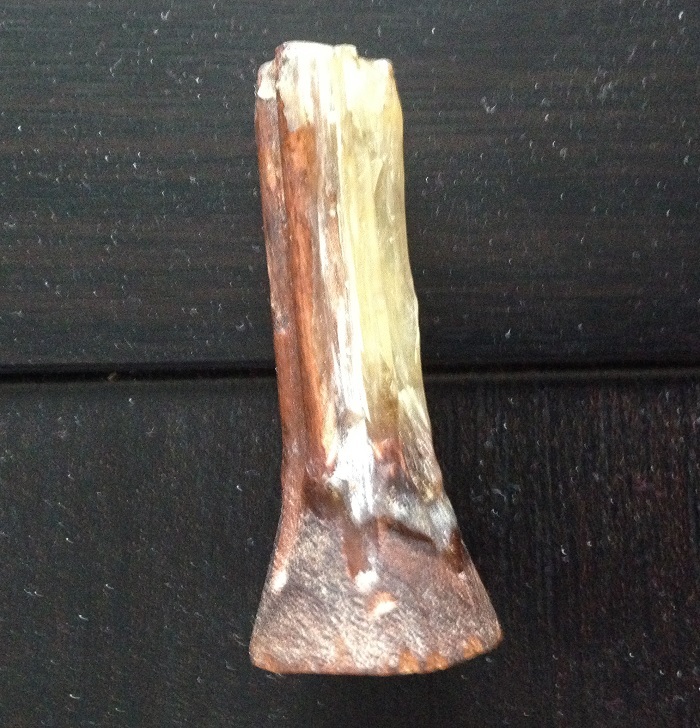 Broken front glass, broken hind leg, broken cast bell and various veneer chips. 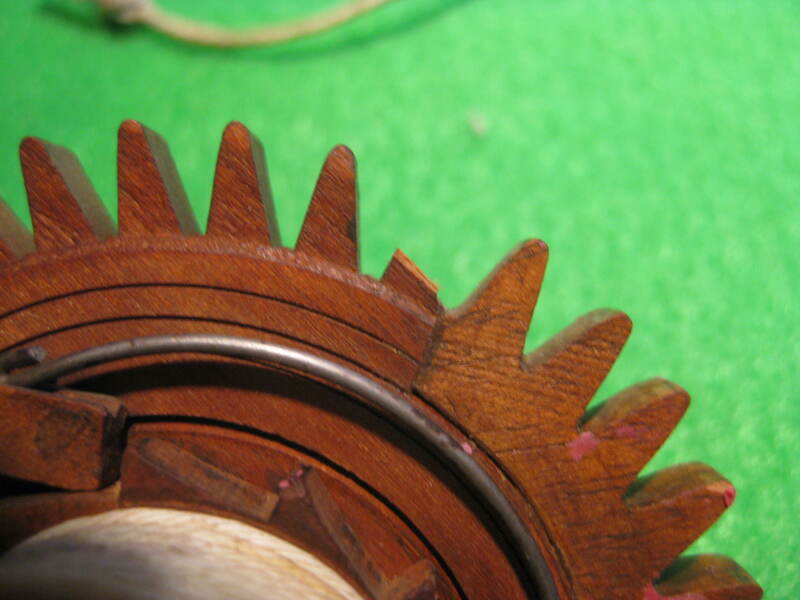 After many days of careful repair, including soldering the wheel that triggers the striking mechanism, here is the result. 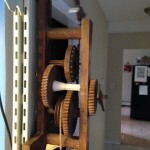 The clock is looking beautiful and runs very well. 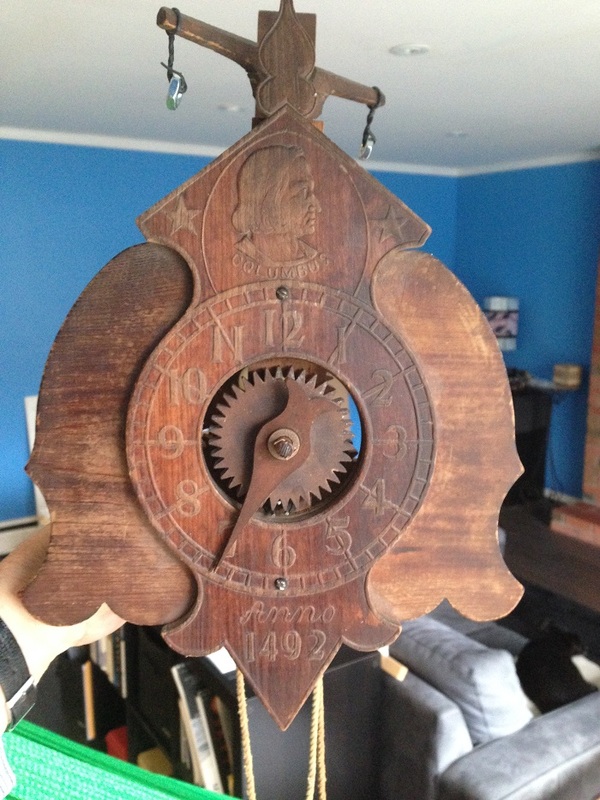 I had a rare opportunity to restore this early 1700 Dutch clock which had been in storage for over 50 years and needed a lot of work. The face shows the name Daniel LeFèvre – Haarlem. 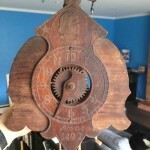 It has a calendar and a pie shape dial which indicates the day of the week. I have not been able to find information on Daniel LeFèvre but a Dutch clock expert, Mr. John Ruhland, agrees the clock is from the early 18th century. 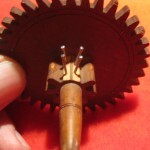 It has the traditional Dutch striking mechanism, with 2 bells. The small bell is used for the half hour and it rings the number of strikes for the upcoming hour. 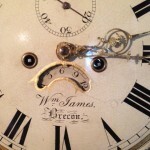 That is: at 1:30, the clock strikes 2 on the small bell. Then on the hour, it strikes 2 on the big bell. It also has an alarm operated by a separate weight. The case is in a very good condition. 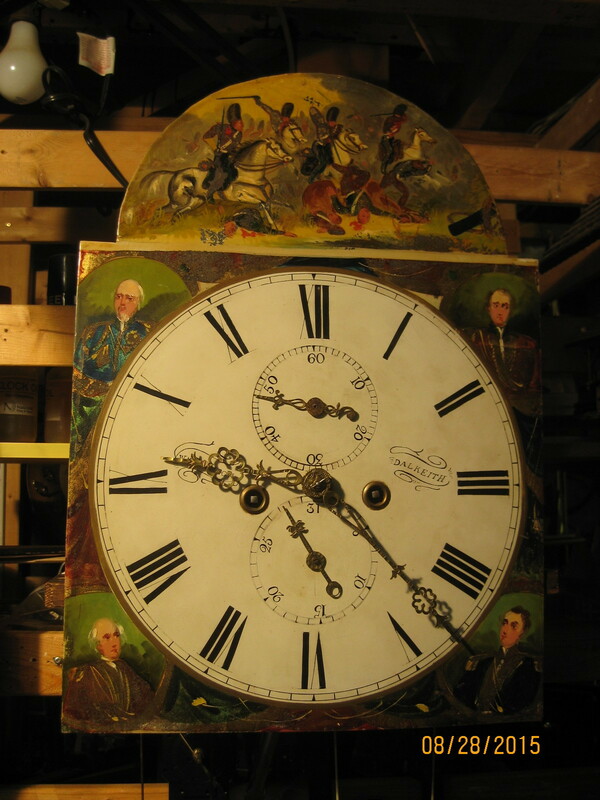 A couple of years ago, I had the opportunity to work on the tall case clock at the residence of the British High Commissioner. 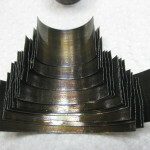 It had stopped after many years of service. 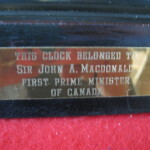 It was interesting to find notes inside the clock indicating that it had been serviced by my predecessors Bill Graham and Ben Roberts, two members of the NAWCC, Ottawa chapter 111. 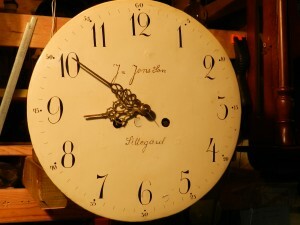 I got called again in July 2012 because the clock would not stop striking until the weight was down to the floor. Upon inspection, I found that the pin on the gathering pallet was broken. I had to put a new one in and secure it with a drop of solder. 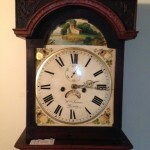 Mrs Pocock, the lady of the residence, asked me to have a look at another British mantle clock in the living room. 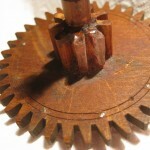 It had not been working since she and her husband moved into the stately residence. 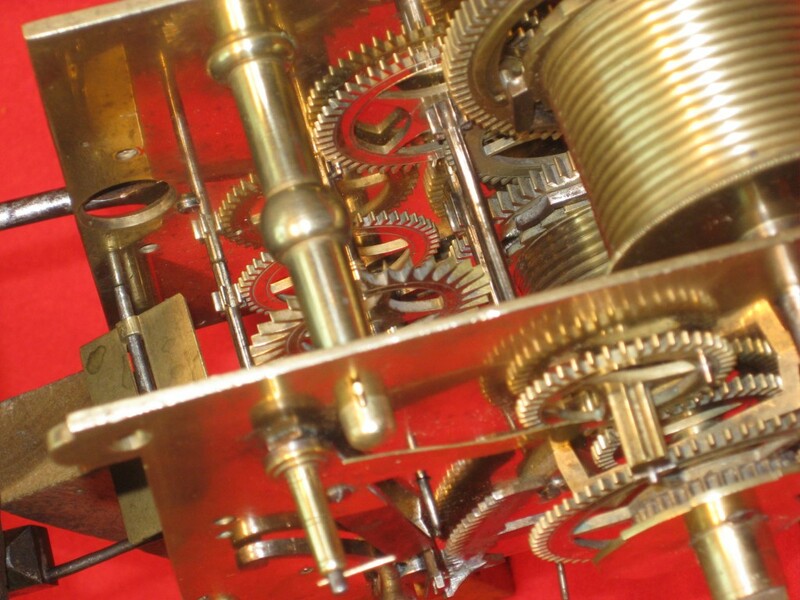 The clock is a pure marvel of British engineering with a double fusée mechanism. 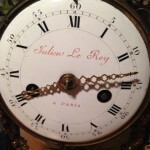 I was pleased to use my horological skills to make it run and strike again. 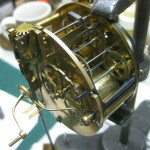 Lots of scrubbing; polishing pivots; new cables; repair to counting rack; it does look a bit better. 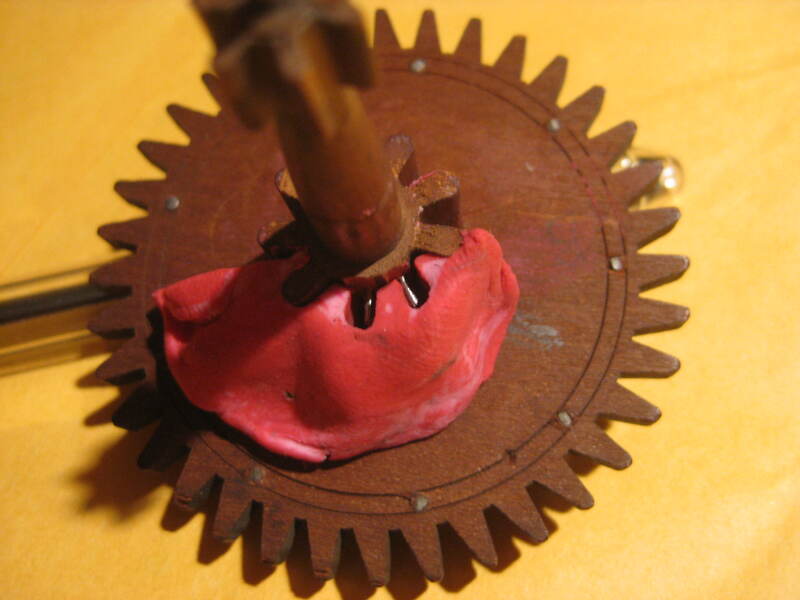 I need a new crutch, a suspension bridge and a flywheel. It is coming along.